I just returned from an amazing trip to Oregon. 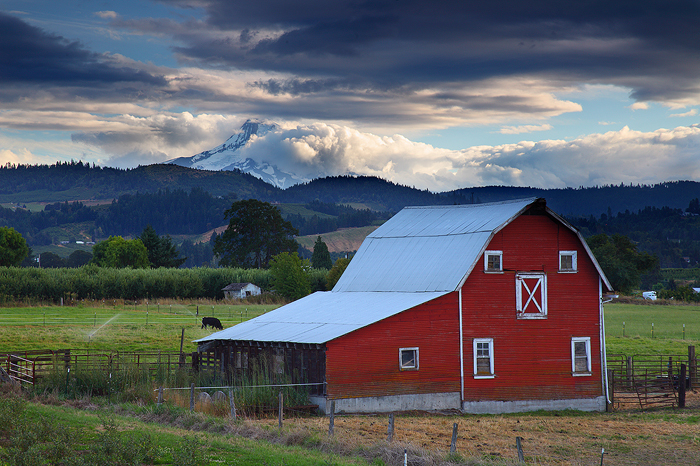 The Pacific Northwest is an incredibly diverse area, and a photographers dream. 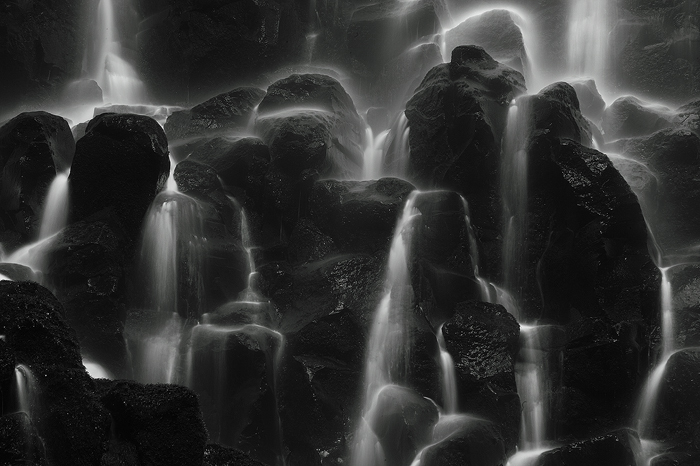 We spent our time getting images of waterfalls, mountains and the beautiful Oregon coast. Here is a selection of the photographs I took on this most recent trip. Enjoy! 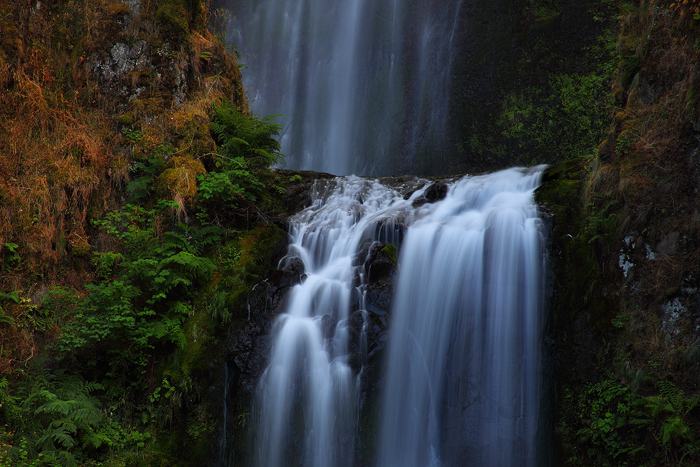 The Columbia River Gorge is home to some of the most beautiful waterfalls on the planet. 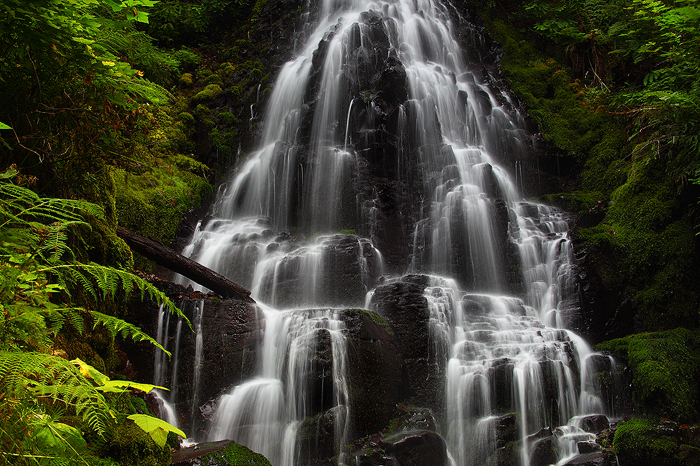 This is Wahkeena Falls, a multi tiered waterfall that plunges 242 feet over a series of drops. 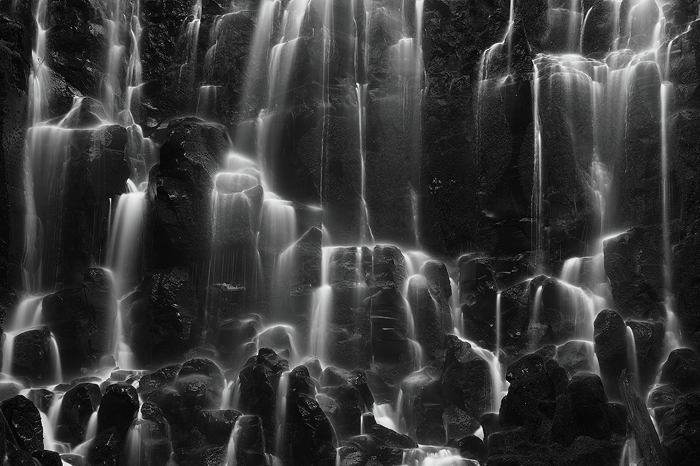 This is an especially difficult waterfall to photograph because of the spray that is thrown straight at the camera. This is Fairy Falls. 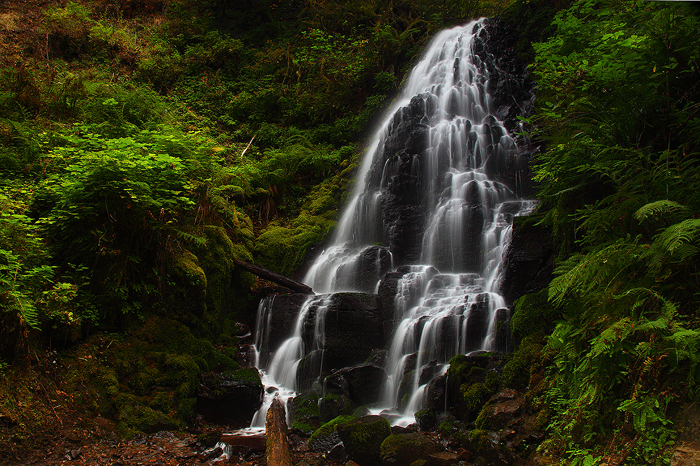 It is located about a mile above Wahkeena Falls. For a photographer, this is about as spectacular as they come. 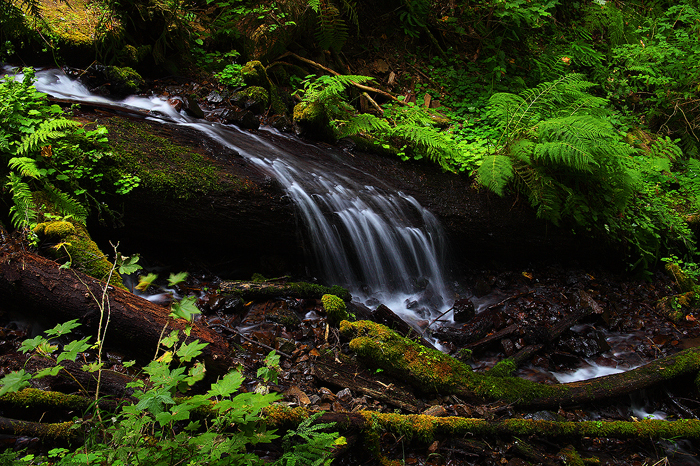 The silky water cascading down the rocks combined with the lush green forest makes for a great photo from any angle. 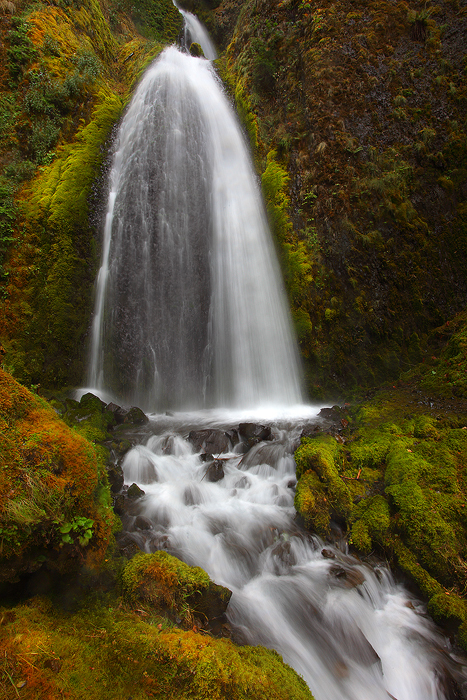 A more intimate view of Fairy Falls shows water flowing over the basalt columns that make up this beautiful wonder of nature. 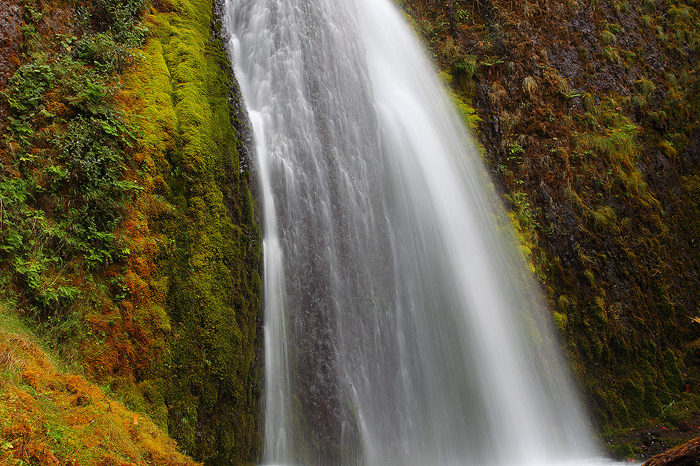 Fairy Falls, at only 20 ft, Is often overlooked for its much larger neighbors like the 620 foot Multnomah Falls, which is only a half mile to the east. 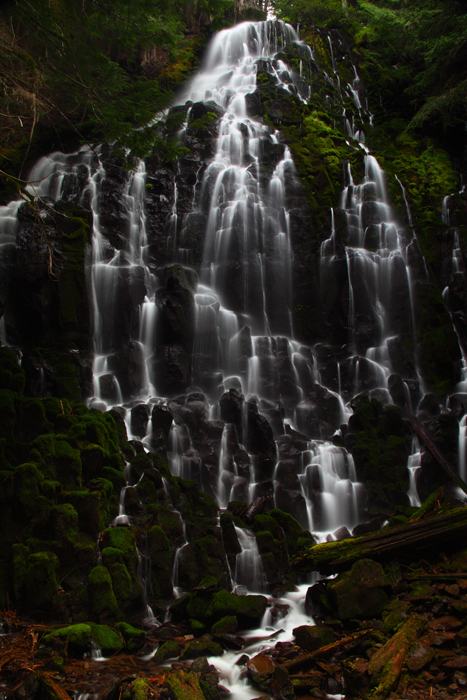 However, the way the waters of Wahkeena Creek cascade and fan out over the many basalt columns of Fairy Falls makes it just as impressive to me. When visiting Fairy Falls you won't find a large visitors center and there is no large freeway exit to lure you in, but For those willing to step away from their cars and make the short hike through this lush green forest will find their extra efforts rewarding. One of the things I love about the rainforests of the Pacific Northwest is how alive everything seems to be. Here a dead tree creates its own little waterfall. Ferns, mosses and other plants have sprouted new life from this fallen giant. 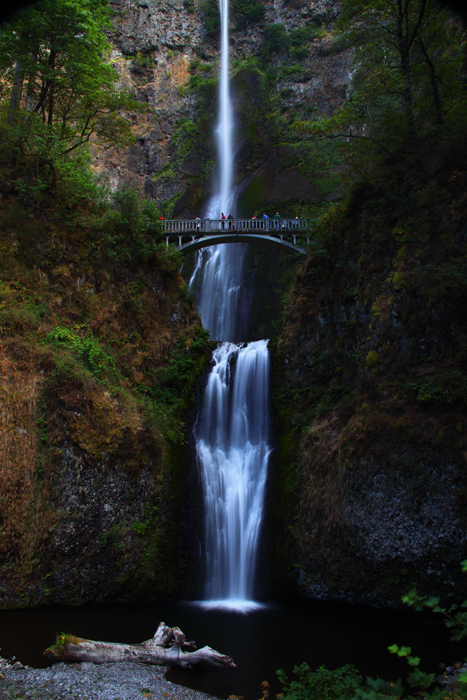 Multnomah Falls is by far the best known waterfall in the Columbia River Gorge. Much of this is due to its sheer size, at well over 600 ft it is the tallest waterfall in Oregon and one of the tallest year round waterfalls in the country. It also has its own freeway exit and a large visitors center at the base to accommodate the large number of visitors every day. While this site is almost always crowded, it's still definitely worth the stop just to appreciate the size of this amazing waterfall. A closer view of Multnomah Falls shows water starting to fall over the second drop of this two tiered waterfall. The much larger first tier of the falls is seen in the background. 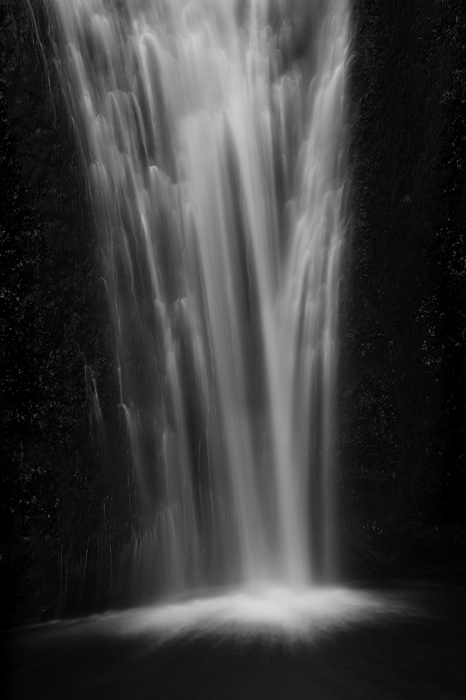 A long exposure shows the lower tier of Multnomah Falls flowing down the cliff face and crashing into the creek below. Mt. Hood looms large over the Hood River Valley. This is one of the most spectacular areas in the country in my opinion. Farmland and orchards stretch out across this idilic landscape. 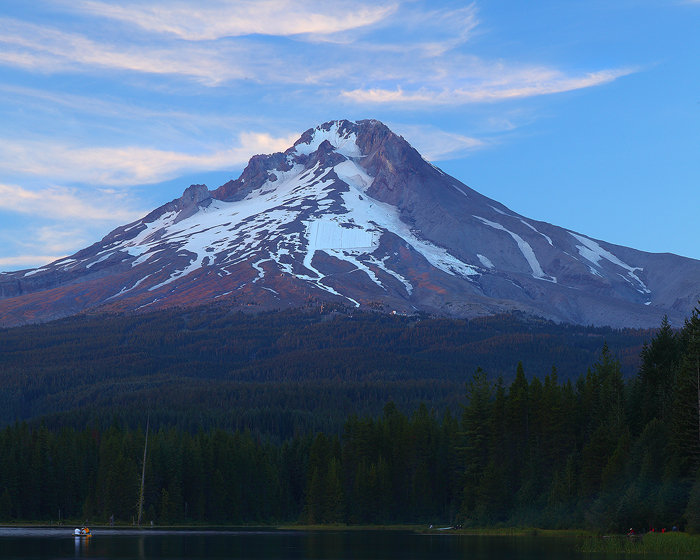 Fishermen relax in their boat on Trillium Lake at sunset as the last rays of light touch the peak of Mt. Hood. Mt. 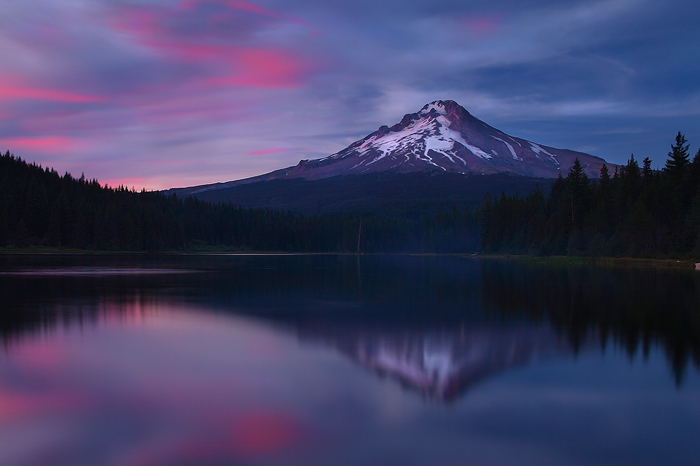 Hood, The highest peak in Oregon, and the Fourth highest peak in the Cascade Range is reflected in the pristine waters of Trillium lake. Mt. Hood is not the largest mountain, by any means. Its prominence is what makes it so special. This massive volcano dominates the skyline of portland, fifty miles to the east. Rising to 11,249 ft, with a prominence of almost 8,000 ft, it's no wonder so many have been inspired by the majesty of this mountain. 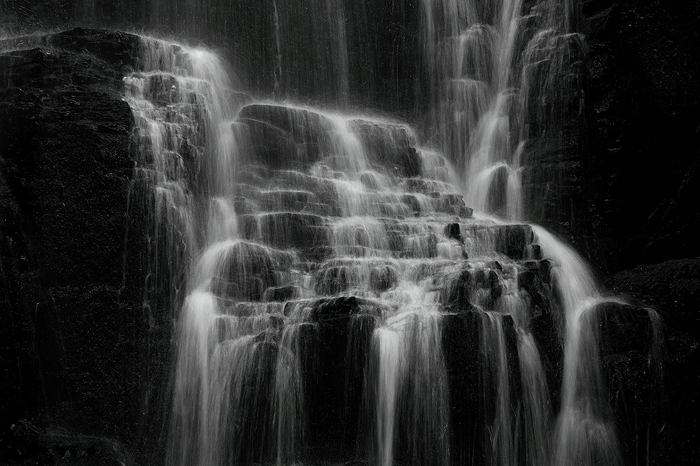 A detail shot of Ramona Falls. Ramona falls is another spectacular fan waterfall located in Mt. Hood Wilderness. The stream fans out over the basalt cliff, meeting up again in the stream at the bottom. After spending some time around the Columbia River Gorge and Mt. Hood, we set off for the beautiful Oregon Coast. 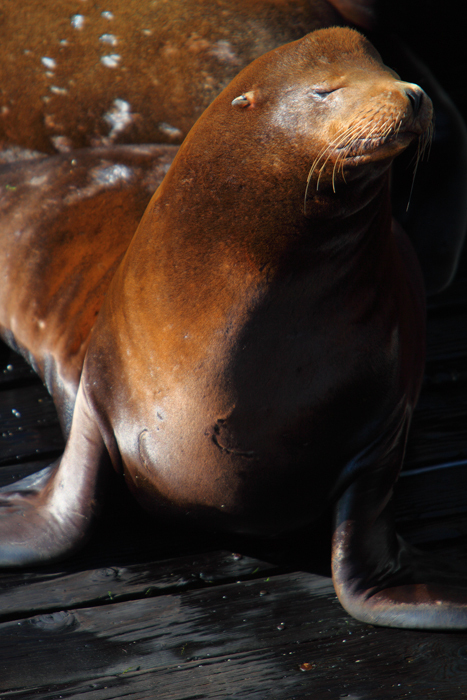 Our first stop was at a really cool little place called Sea Lion Caves. Because of the sheer drops in this area, the only way to access this cave is through a gift shop elevator that takes you down 300 ft to sea level, at which point you get a great view into this secret world, one of the largest sea caves in the world. 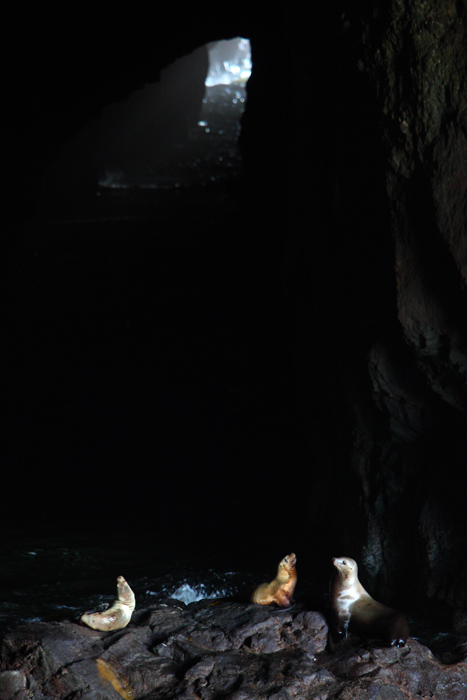 Many times this cave is filled with hundreds of stellars sea lions. In this photo there are only 5, but it was still a very cool place to visit. It's a very commercial spot, but worth the price of admission to see such an amazing natural wonder. 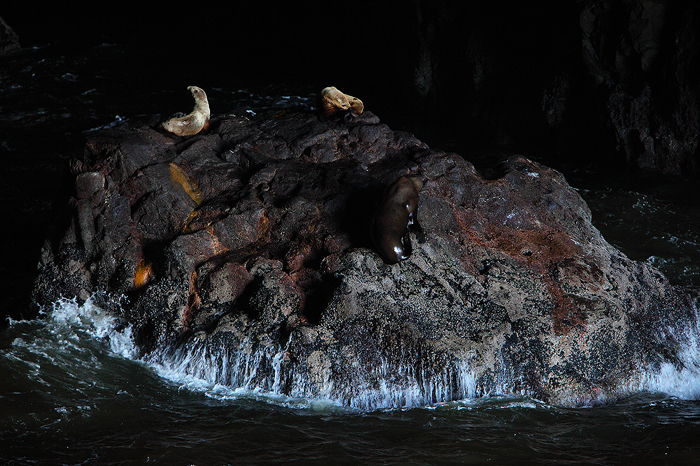 Sea lions atop a large rock in Sea Lion Caves. Three sea lions atop a rock in Seal Lion Caves. 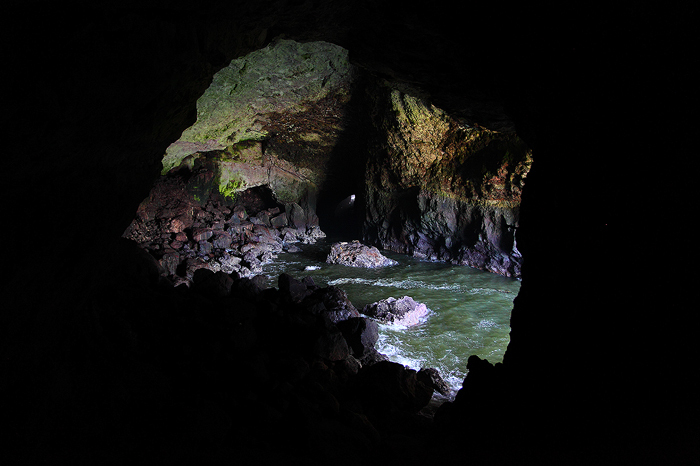 At the top of the photo you can see one of the entrances to this large sea cave. We spent the next couple of nights camping on the central Oregon coast. 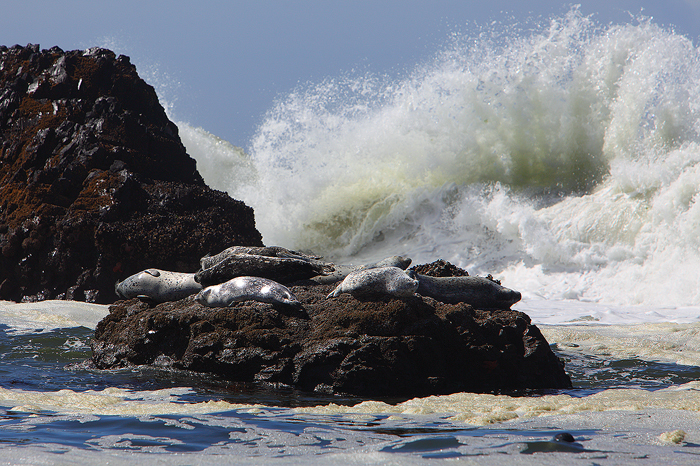 It was great fun to wade out into the water to photograph these seals basking in the sun as huge waves crashed behind them. 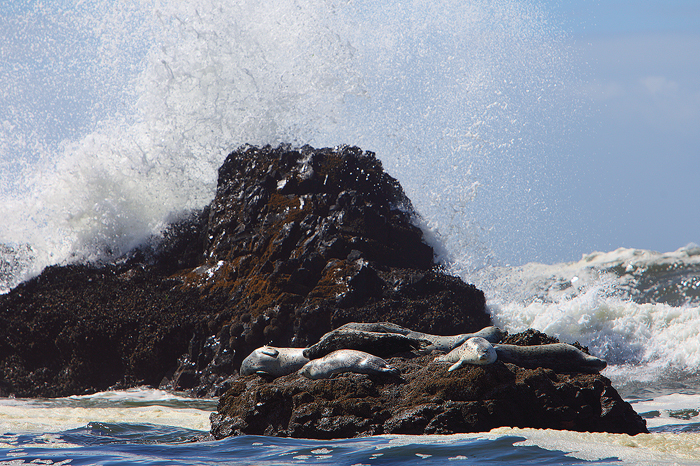 Another shot of the seals as a wave smashes into a large rock. 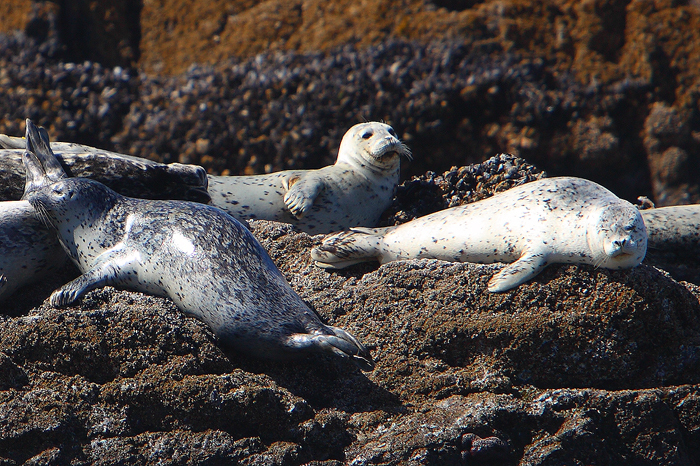 Although I was freezing while taking these photos, these seals were no doubt in heaven while soaking up the warm rays of the sun. 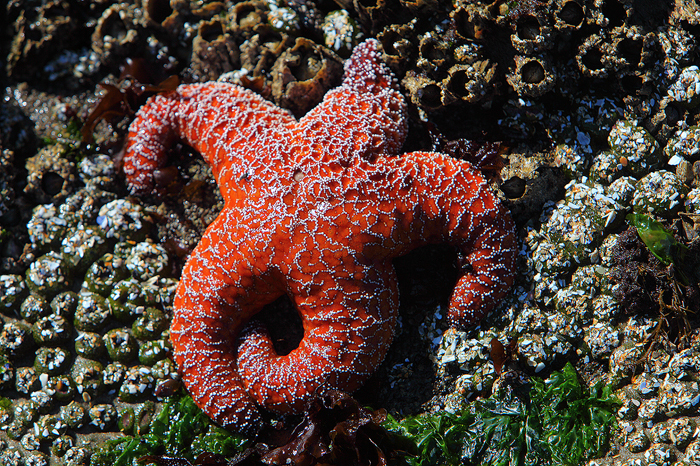 A sea star clings to a rock at low tide. 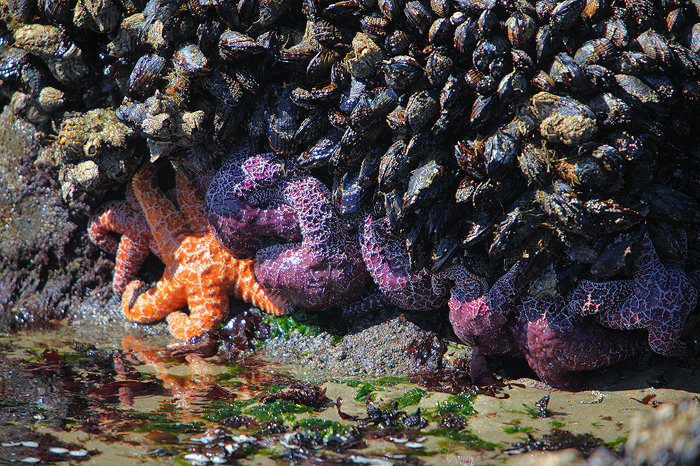 Multiple sea stars were exposed once the water got low enough. 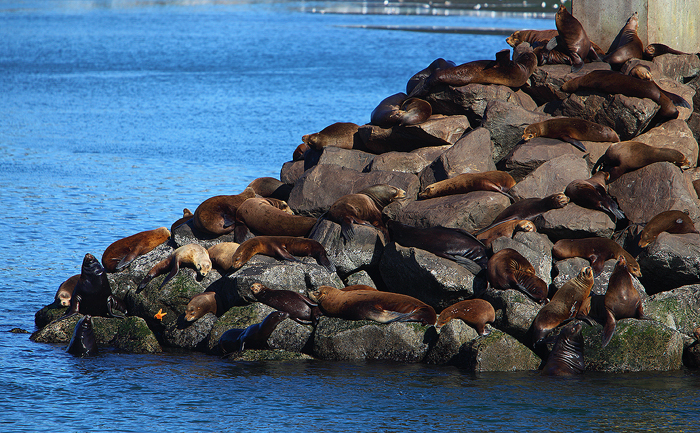 We stopped in Newport to grab some lunch and I couldn't resist taking some photos of the neighborhood sea lions. If you look closely in this photo you can see a sea star clinging to the rocks. 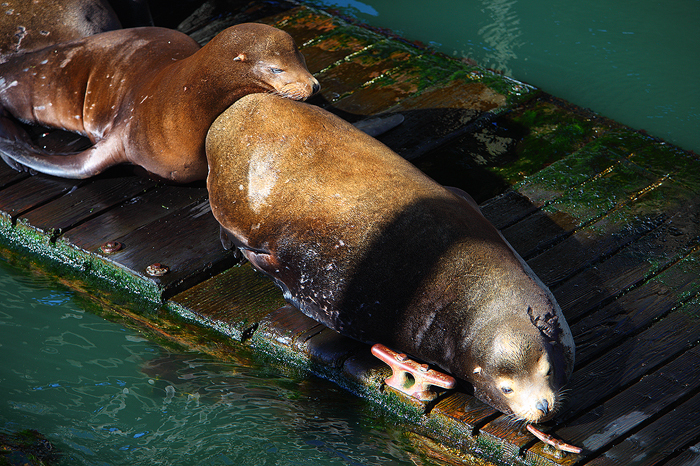 Sea lions definitely don't have a problem using each other as pillows. 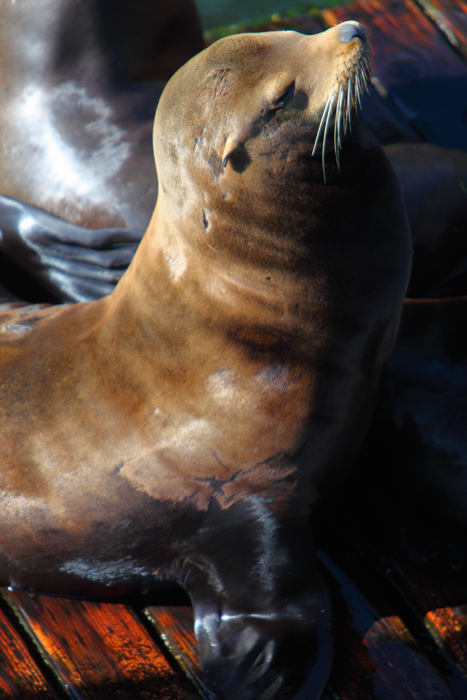 Beautiful creatures, and incredibly fun to observe. 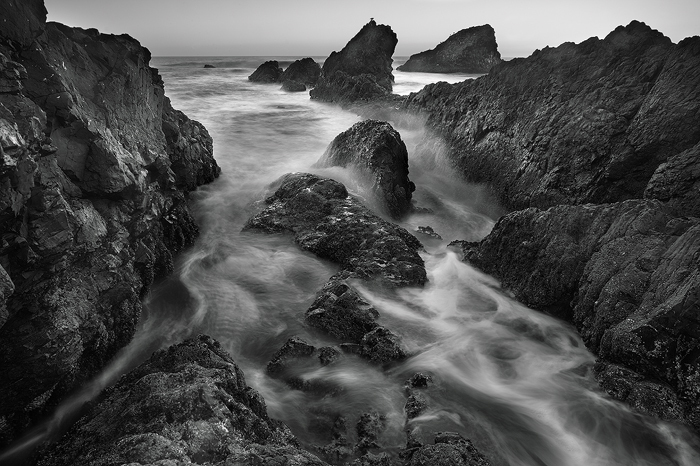 A 45 second exposure of the beautiful Oregon Coastline. 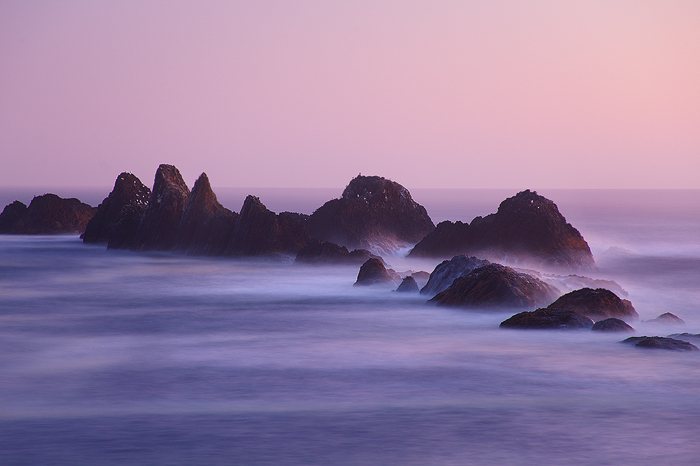 Long after the sun had set I made this long exposure image of the rocks of Seal Rocks State Park. 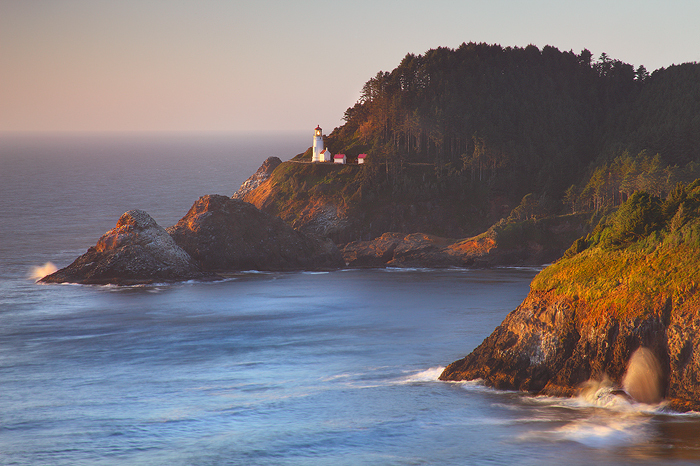 As the tides begin to rise, mighty waves from the Pacific Ocean crash into the rugged rock shores of the Oregon coast. 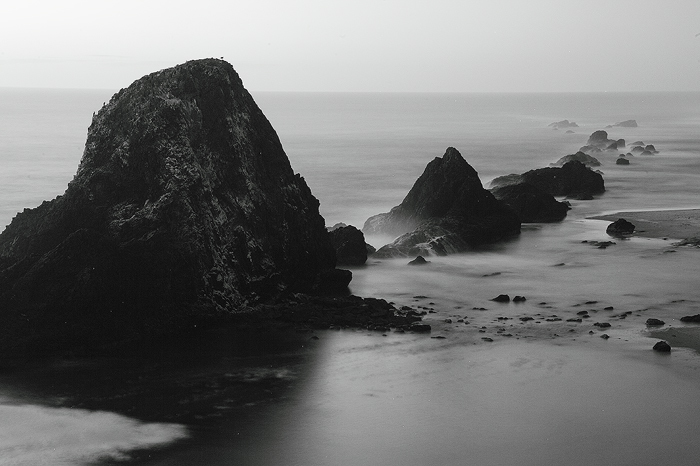 A long exposure creates an abstract pattern of water amongst the rocks. 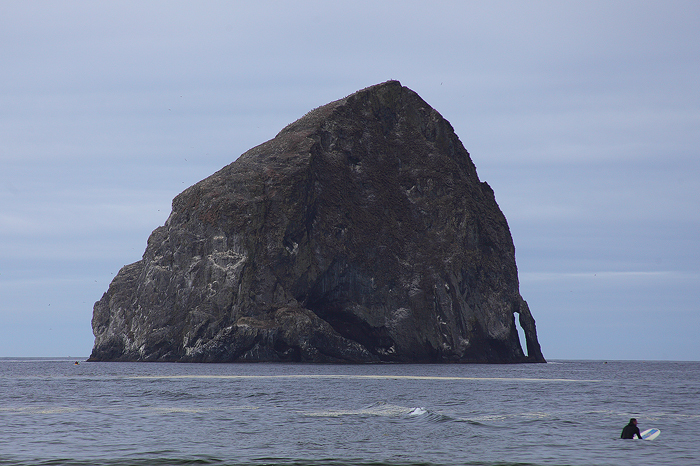 On our way back to Portland we had to stop in Pacific City / Cape Kiwanda To check out their massive Haystack Rock. A surfer in the foreground gives a bit of scale to this scene. I always cherish my time in the Pacific Northwest and I can't wait until my next visit!